Lahti is a city and municipality in Finland.Lahti is the capital of the Päijänne Tavastia region. Get some cultural insight at World Heritage Site - Verla Groundwood and Board Mill and Radio and TV Museum. 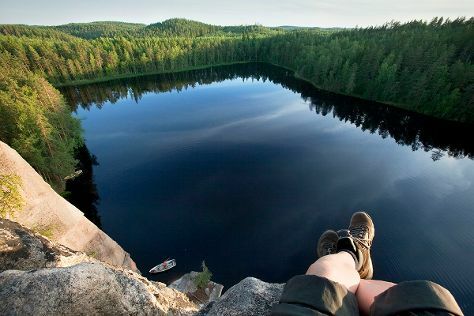 Escape the urban bustle at Niivermaki Nature Conservation Area and Evo Hiking Area. You'll find plenty of places to visit near Lahti: Haemeenlinna (Hameenlinnan Kaupungin Raatihuone & Linna Golf & Country Club) and Kouvola (Pyhan Ristin kirkko & Ankkapurha Culture Park). And it doesn't end there: examine the collection at Directions Lahden historiallinen Museo, take in the waterfront at Vesijärvi harbor, admire the landmark architecture of Lahti City Hall, and enjoy some diversion at Lahti Sports Center. For ratings, other places to visit, traveler tips, and other tourist information, read our Lahti online trip itinerary builder . Brussels, Belgium to Lahti is an approximately 8-hour flight. You can also drive. The time zone difference moving from Central European Time to Eastern European Time is 1 hour. Expect a daytime high around 22°C in June, and nighttime lows around 11°C. Wrap up your sightseeing on the 15th (Sat) early enough to take a train to Lappeenranta. Get some cultural insight at Church of the Intercession of the Mother of God and Sandcastle Lappeenranta. Visit Lappeen Marian kirkko and Joutsenon kirkko for their historical value. Venture out of the city with trips to Kouvola (The Sippola church & Hevoshaan Arboretum). There's lots more to do: take in the architecture and atmosphere at Lauritsala Church, have fun at HopLop Lappeenranta, get in on the family fun at Angry Birds Activity Park, and stop by MyGoodKnife. To see maps, photos, reviews, and tourist information, read our Lappeenranta trip itinerary builder tool . Traveling by train from Lahti to Lappeenranta takes 1.5 hours. Alternatively, you can drive; or take a bus. Expect a daytime high around 22°C in June, and nighttime lows around 11°C. Finish your sightseeing early on the 22nd (Sat) so you can drive to Mikkeli. Mikkeli is a town and municipality in Finland. Your cultural itinerary includes sights like Mikkeli Cathedral and Infantry Museum. Deepen your sense of the past at sights like Mikkeli Rural Parish Church and St. Archangel Michael's Church. When in Mikkeli, make a side trip to see Repovesi National Park in Kouvola, approximately 1h 15 min away. There's much more to do: examine the collection at Headquarters Museum, take an in-depth tour of Communications Centre Lokki, explore the world behind art at Mikkelin Taidemuseo, and get outside with Anjan Puisto. To find photos, more things to do, and other tourist information, you can read our Mikkeli travel itinerary planner . You can drive from Lappeenranta to Mikkeli in 2 hours. Alternatively, you can take a train; or take a bus. In June, daily temperatures in Mikkeli can reach 22°C, while at night they dip to 9°C. Finish your sightseeing early on the 28th (Fri) so you can drive to Savonlinna. 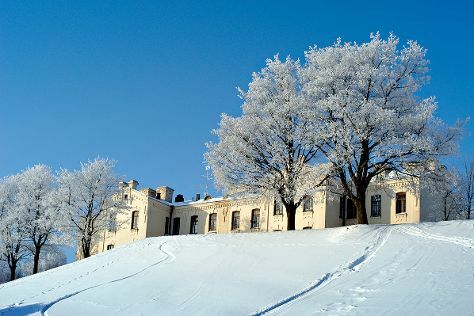 Olavinlinna Castle and Paaskylahden kirkko will appeal to history buffs. Explore hidden gems such as Savonlinna Provincial Museum and Pikkukirkko. There's lots more to do: step into the grandiose world of Savonlinna Cathedral, get advice or help at Riihisaari, appreciate the history behind The Spirit of the fortress, and take in the architecture and atmosphere at Kirkkoniemen Kellotapuli. 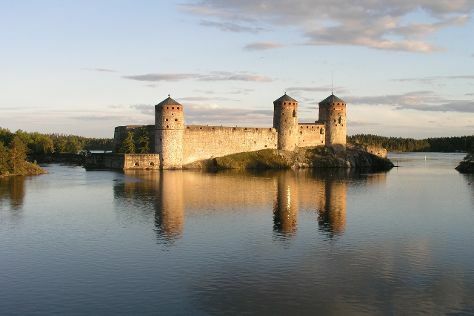 To find maps, traveler tips, and other tourist information, refer to the Savonlinna online trip planner . Drive from Mikkeli to Savonlinna in 1.5 hours. Alternatively, you can take a bus; or take a train. June in Savonlinna sees daily highs of 21°C and lows of 10°C at night. On the 2nd (Tue), you'll travel to Joensuu. Joensuu is a city and municipality in North Karelia in the province of Eastern Finland. Visiting Treetop Adventure Park and Utransaari/ The Utra Island will get you outdoors. Visit Pyhan Nikolaoksen kirkko and Joensuu Church for their historical value. Next up on the itinerary: see the interesting displays at Pohjois-Karjalan museo Hilma, stop by Taitokortteli, take in nature's colorful creations at Botania - Botanical Garden and Tropical Butterfly Garden, and don't miss a visit to Sculpture Susi Kosiomatkalla. To find other places to visit, where to stay, more things to do, and tourist information, go to the Joensuu day trip app . Traveling by car from Savonlinna to Joensuu takes 2 hours. Expect a daytime high around 24°C in July, and nighttime lows around 13°C. Cap off your sightseeing on the 7th (Sun) early enough to travel to Kuhmo. Kuhmo is a town and a municipality in Finland and is located at the south-eastern corner of the Kainuu region. Escape the urban bustle at Boreal Wildlife Centre and Wild Taiga. Next up on the itinerary: identify plant and animal life at Wilds Piira. For traveler tips, other places to visit, and tourist information, refer to the Kuhmo trip planning app . Traveling by car from Joensuu to Kuhmo takes 3 hours. You will leave for Kajaani on the 10th (Wed). Kajaani is a town and municipality in Finland. You'll discover tucked-away gems like Kajaani Castle ruins and Vuokatti Bowling. Satisfy your inner culture vulture at Kajaani Church and Kajaani art museum. Step out of Kajaani to go to Vuokatti and see Angry Birds Activity Park Vuokatti, which is approximately 30 minutes away. Next up on the itinerary: take some stellar pictures from Vuokatinvaara and appreciate the history behind Pietari Brahen Patsas. To find photos, other places to visit, maps, and more tourist information, go to the Kajaani trip app . Traveling by car from Kuhmo to Kajaani takes 2 hours. In July, daily temperatures in Kajaani can reach 23°C, while at night they dip to 12°C. On the 14th (Sun), you'll travel to Kuopio. Kuopio is a city and a municipality located in the region of Northern Savonia, Finland. Deepen your sense of the past at sights like St. Nikolaos Cathedral and Lutheran Cathedral. Get a sense of the local culture at Kulttuurihistoriallinen Museo and RIISA - Orthodox Church Museum of Finland. The adventure continues: see the interesting displays at Kuopion Korttelimuseo, admire the masterpieces at Kuopio Art Museum, have fun at Vainolanniemi, and stroll through Saaristokatu. Discover how to plan a Kuopio trip in just a few steps with Inspirock's itinerary builder. Traveling by car from Kajaani to Kuopio takes 2 hours. In July, daily temperatures in Kuopio can reach 24°C, while at night they dip to 15°C. Cap off your sightseeing on the 20th (Sat) early enough to catch the train to Jyvaskyla. Jyväskylä is a city and municipality in Finland and in the western part of the Finnish Lakeland. Step out of the city life by going to Nyrolan luontopolku and Laajis. You'll discover tucked-away gems like Natural History Museum of Central Finland and Kuokkalan kartano. And it doesn't end there: see the interesting displays at The Craft Museum of Finland, go for a walk through Tourujoen luontopolku, enjoy the scholastic atmosphere at University of Jyvaskyla, and take in the views from Karkisten Silta. To see other places to visit, photos, ratings, and tourist information, go to the Jyvaskyla travel planner . Take a train from Kuopio to Jyvaskyla in 2 hours. Alternatively, you can take a bus; or drive. In July, daily temperatures in Jyvaskyla can reach 24°C, while at night they dip to 12°C. Finish up your sightseeing early on the 26th (Fri) so you can catch the train to Tampere. Step off the beaten path and head to Rauhaniemi Beach and Birthplace of Jean Sibelius. Do some cultural sightseeing at Museo Militaria and Sarkanniemi Theme Park. Change things up with these side-trips from Tampere: Haemeenlinna (Hame Castle, Ahvenisto Activity Park, & more). And it doesn't end there: contemplate in the serene atmosphere at Tampere Cathedral, soothe aching muscles at some of the top local wellness centers, examine the collection at Vapriikin Museokeskus, and pause for some serene contemplation at Church of St. Alexander Nevsky and St. Nicholas. For traveler tips, maps, more things to do, and tourist information, use the Tampere travel route planner . Traveling by train from Jyvaskyla to Tampere takes 2 hours. Alternatively, you can drive. In July, plan for daily highs up to 24°C, and evening lows to 13°C. Wrap up your sightseeing on the 8th (Thu) early enough to travel back home.